^ Joireman, Sandra F. Institutional Change in the Horn of Africa: The Allocation of Property Rights and Implications for Development. Universal-Publishers. 1997: 1. ISBN 1581120001. 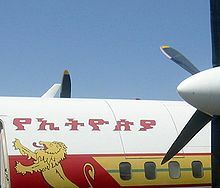 The Horn of Africa encompasses the countries of Ethiopia, Eritrea, Djibouti and Somalia. These countries share similar peoples, languages, and geographical endowments. ^ Donald N. Levine "Amhara," in von Uhlig, Siegbert, ed., Encyclopaedia Aethiopica:A-C, 2003, p.231. ^ 5.0 5.1 Takkele Taddese "Do the Amhara Exist as a Distinct Ethnic Group?" in Marcus, Harold G., ed., Papers of the 12th International Conference of Ethiopian Studies, 1994, pp.168–186. ^ FDRE States: Basic Information – Amhara. Population. [26 March 2006]. （原始内容存档于24 May 2011）. ^ Reminick, Ronald A. The evil eye belief among the Amhara of Ethiopia. 1974: 279-291. ^ Shinn, David; Ofcansky, Thomas. 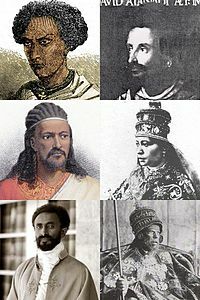 Historical Dictionary of Ethiopia. 2013: 5. 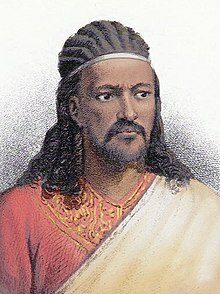 ^ 16.0 16.1 16.2 16.3 16.4 16.5 16.6 16.7 Amhara Contributions to Ethiopian Civilization. 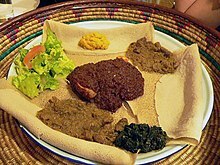 Ethiopian Review. [9 February 2015]. ^ Kessle, David. 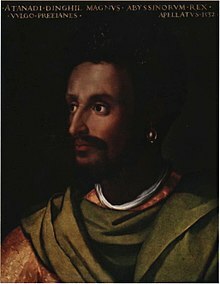 The Falashas: A Short History of the Ethiopian Jews. 1996: 94. ^ Shinn, David; Ofcansky, Thomas. 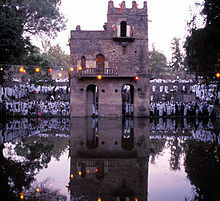 Historical Dictionary of Ethiopia. 2013: 6. ^ Gordon, Howard. Be Not Thy Father's Son. 2011: 128. ^ Stewart, John. African States and Rulers. 2006: 93. ^ Vitae Sanctorum Indigenarum: I Acta S. Walatta Petros, Ii Miracula S. Zara-Baruk, edited by Carlo Conti Rossini and C. Jaeger Louvain: L. Durbecq, 1954, pg. 62. ^ Young, John. Peasant Revolution in Ethiopia: The Tigray People's Liberation Front, 1975-1991. 1997: 44. ^ Foster, Mary; Rubinstein, Robert. Peace and War: Cross-Cultural Perspectives. 1986: 137. ^ Asrat Woldeyes. the Guardian. [9 February 2015]. ^ Administrator. Belay Zeleke. [9 February 2015]. ^ Senamirmir Projects: Interview with Dr. Getatchew Haile. [9 February 2015]. ^ Belcher, Laura. Abyssinia's Samuel Johnson: Ethiopian Thought in the Making of an English Author. 2012: 114.